LG has announced a new LG Quad HD smartphone display which comes with a resolution that is four times that of the current HD smartphone displays. 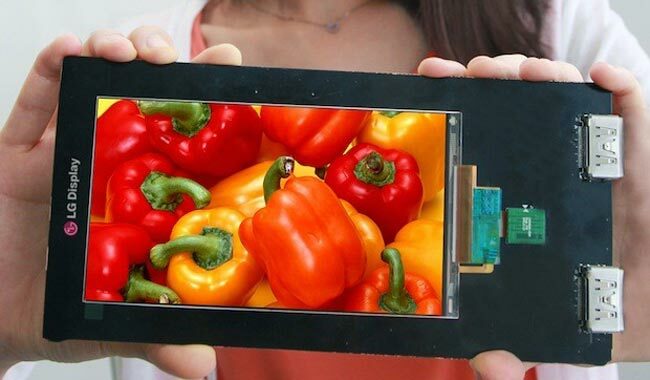 This new LG Quad HD smartphone display measures 5.5 inches and has a resolution of 2560 x 1440 pixels, it also comes with a pixel density of 538 ppi. This new smartphone display is an AH-IPS LCD display and it measures 1.21mm thick and features a thin bezel which measures just 1.2mm, plus if features a brightness of 430 nits. LG have yet to announce any new devices that use this new display, but we suspect we could get some sort of announcement later in the year.